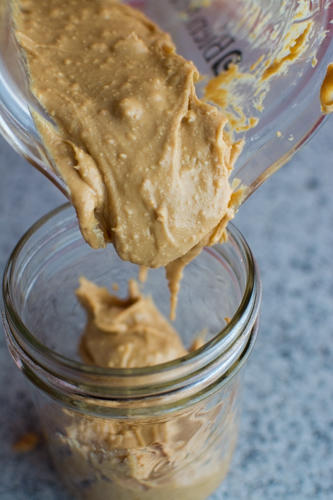 Are you curious about homemade peanut butter? Of course you are! 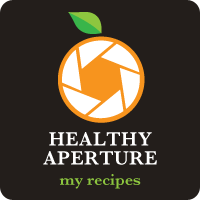 I assure you that it is a million times better than store-bought, it can be creamy or chunky, and is oil and salt-free. 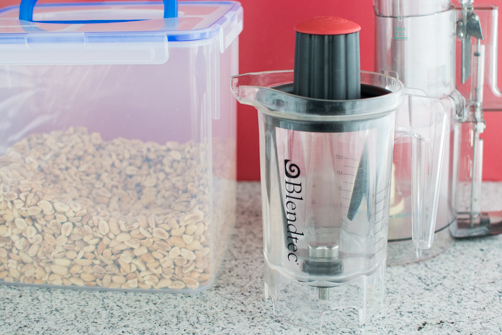 Today I share how to make it in the Blendtec Twister Jar as well as a food processor. I’ve made homemade peanut butter a few times. The first time with oil-roasted salted peanuts from Cash and Carry in Portland. It was good but this time I got my hands on dry-roasted, salt-free peanuts from bulkfoods.com and it is by far my favorite. 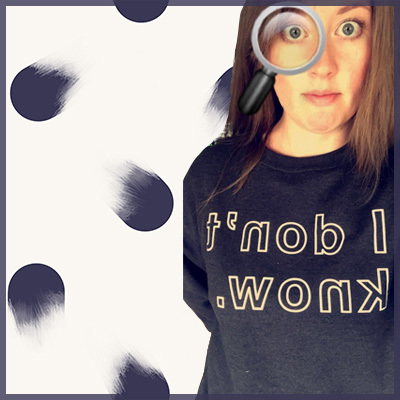 I had heard about this site from Happy Herbivore when she mentioned she bought her nutritional yeast in 5 pound bags from there. I was intrigued because I love buying in bulk. Love. For the stuff that makes sense of course. In between making our own I’ve bought natural peanut butter in bulk from Amazon or Costco. 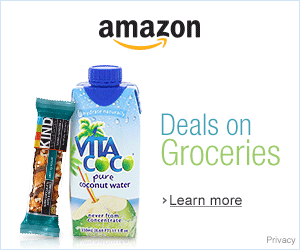 What is natural peanut butter and Why natural peanut butter? Natural peanut butter will have one ingredient, peanuts. Store-bought often have two, peanuts and salt. Crap peanut butters—yup that’s right, not mincing words here—are full of crap ingredients after the roasted peanuts like sugar/high fructose corn syrup, hydrogenated oils, and mono and diglycerides. 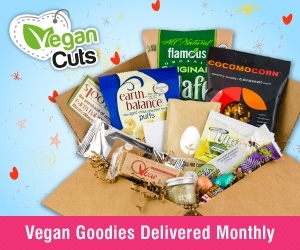 Both hydrogenated oils and mono and diglycerides have been linked to heart disease. Reduced fat peanut butters are even worse with an even longer list of unnatural ingredients. A ‘just peanuts’ peanut butter is amazing. It’s full of peanut-y flavor and reminds me of the peanut butter my grade school principal, Mr. Burnell, used to make. He made peanut butter and would bring it to school in a huge container and make plain peanut butter sandwiches for any student that forgot their lunch or couldn’t afford a lunch. He was such a nice man. I think I purposefully forgot my lunch one time just so I could have one of his sandwiches. It’s hard to imagine this kind of thing happening nowadays. With so many peanut allergies many schools have banned peanut products altogether. I grew up on the Jif and Skippy’s of the world so I totally understand the disbelief that just peanuts couldn’t be tasty but it is. If it’s not love at first bite, it will be at second or third. Promise. 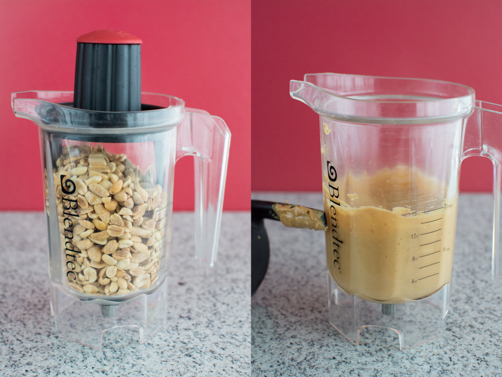 How to Make Homemade Peanut Butter in the Blendtec? Ahh! The mighty little Twister Jar. I’ve made homemade almond butter, coconut butter, and tahini in this baby—it’s quite brilliant that way. In less time than a pre-set blender cycle you will go from the nuts above left to creamy spreadable peanut butter above right. 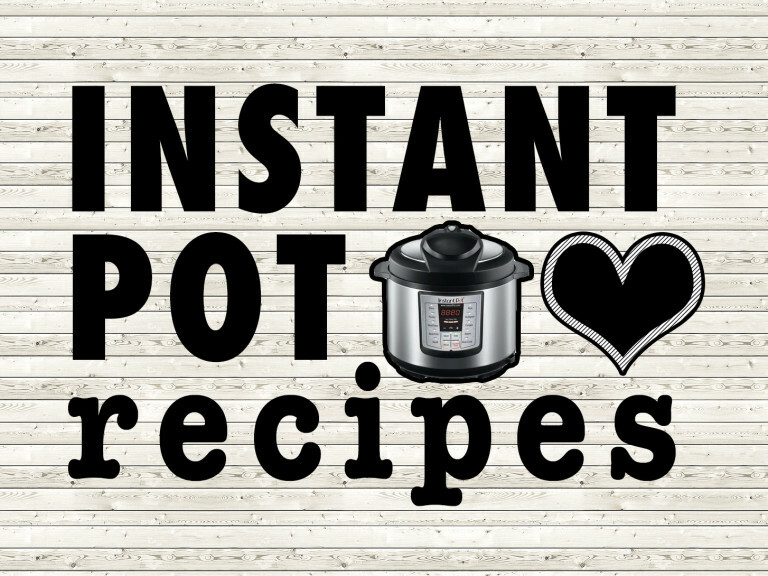 Add 2 cups of dry-roasted salt-free peanuts to the Twister Jar and blend for 39-50 seconds (I used the whole juice setting) while turning the lid counter-clockwise. This makes about 16 ounces of peanut butter. If you want chunky peanut butter—rough chop 1/2 cup of peanuts and stir it into the blended peanut butter. I store it in a mason jar on the counter or in the fridge. Would you believe it is more spreadable than natural peanut butter from the store that’s been stored in the fridge? It is! I was pleasantly surprised. 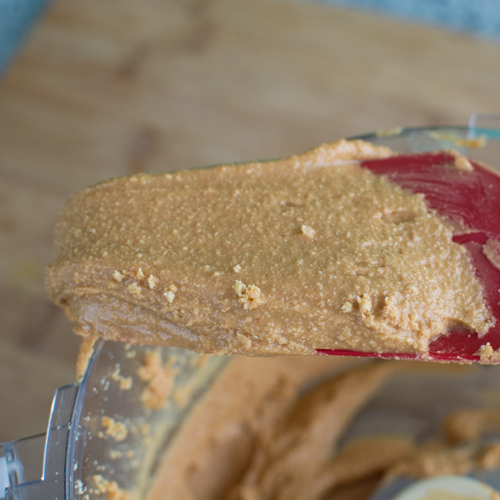 How to Make Homemade Peanut Butter in the Food Processor? 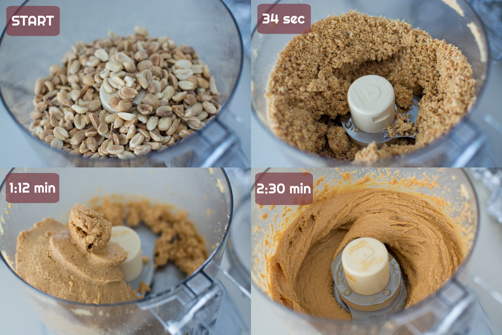 Food processor peanut butter is ready in less than 3 minutes. I was surprised at how little time considering it took 12 minutes for sesame seeds to turn into tahini. Add 2 cups of dry-roasted salt-free peanuts to your food processor fitted with the s-blade and process for a few minutes, stopping to scrape down the sides if needed. 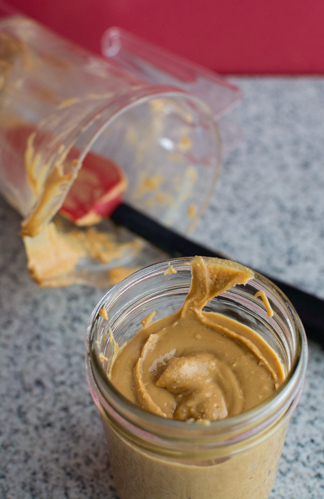 Stop when the peanut butter starts to look smooth and creamy. This also makes about 16 ounces of peanut butter. 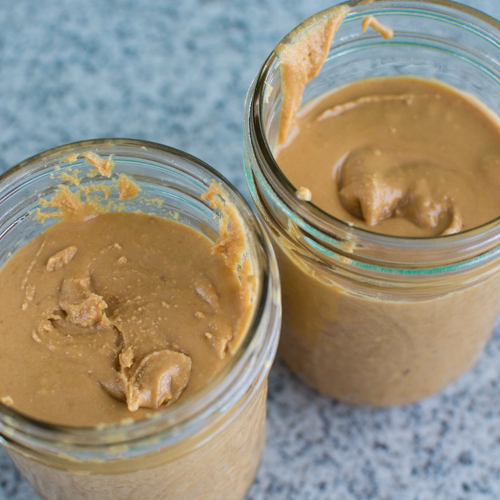 If you want chunky peanut butter—rough chop 1/2 cup of peanuts and stir it into the blended peanut butter. Either way – same great result. Hi! My first suggestion would be to keep blending it until it starts to break down and become creamier. I used the same kind of nuts (although mine were already shelled) and it works. I’ve noticed sometimes blending takes longer if it’s a cooler (like in the winter) vs summer months. Does your crumbly pb look like the picture above at 34 seconds? Maybe just keep going a few more cycles. And maybe it’s too full – try it with less nuts next time? ?